That’s all it takes to make some folks explode with anger. Or the even the N-word. Say that word, especially in a positive light, and heads burst like rotten pumpkins holding freshly lit firecrackers! Eyes narrow, nostrils flare, a vein pops out on a forehead – and then a diatribe comes pouring out of your interlocutor’s mouth like the deep-seated, half-digested bile it is. Unions are people, after all. Mitt Romney may have earned himself a place in the Presidential Candidate Hall of Shame for saying the same of corporations. But where he was wrong about the company, firm or business – it’s more truthful to speak this way of labor unions. Or any Democratic institution, for that matter. No, I don’t mean that unions are individual entities that have lives of their own and deserve civil rights. But the people who make up those unions do. That’s the whole point. Unions are made up of people. Their whole purpose is to fight for the rights of the individuals in them. Corporations, on the other hand, have people who work for them, yes, but their raison d’etre is to earn profits for the board of directors or shareholders only. While both work for the good of their members, unions work for ALL of their members. Corporations only work for the good of a limited selection of those connected with them – the owners. At least that’s how it’s supposed to work. There are unions that work well and those that don’t. But the concept of a labor union – all the workers at a place of business gathering together to equal the power of the owners – is a good one. Critics, however, see everything about unions as wrong. They accuse unions of (1) stifling flexibility and creativity in the workplace. They say unions are (2) Communist, (3) politically allied to the Democrats and (4) increase costs. Among other things. Naysayers act as if unions impose rules on the helpless bosses. This is untrue. There is nothing in any union contract that was not agreed on by both parties. Sometimes it’s quite difficult to reach agreement. Often compromises are made on both sides. But each party has an equal say in what goes into the agreement. As a result, sometimes the contract gets in the way of an easy fix to a problem. But is that really surprising for a document born of compromise? Neither party gets exactly what it wants. They meet in the middle. Sure, it would be much more flexible for the owners to make all the decisions. Likewise, it would be more flexible if the workers got to make all the decisions, too. But would either really lead to the best working environment? Take break periods. If it were up to most managers, workers wouldn’t get any time to recoup from the constant demands of the job. They’d have to keep going with no respite until quitting time – maybe with a brief working lunch. So union contracts often require breaks in the day. Not as much as workers would like and not as few as the bosses would prefer, either. To achieve this, you lose some flexibility. For instance, if the contract says workers get two 15-minute breaks, you can’t combine them into one 30-minute breather. This makes it difficult if you’re needed at your post but have to stop suddenly to punch out. Otherwise, you won’t have time for both breaks. It would seem to make more sense to keep working now and take a longer respite later. However, that is not what management and labor agreed to do. It’s a compromise to benefit both parties. Workers are assured of having breaks in their day while management is assured that labor can’t take advantage of the situation by manipulating the clock to get a prolonged period off. If it becomes a problem, both parties can revisit it and make changes during the next contract negotiations. It may be difficult to change deeply embedded practices, but it can be done. It doesn’t stop anyone from being creative. It just means you have to work within certain guidelines – and doing that may actually require innovation! This is patently false. In fact, there are few more democratic institutions than labor unions. All decisions are made by majority rule. Members vote on who serves as officers, who will have a seat on the negotiation committee, whether to accept a contract, when and if to go on strike, etc. That doesn’t sound like Soviet Russia! It sounds like Independence Hall in Philadelphia! The only difference is it attempts to equalize power between the workers and the boss. It never actually achieves this ideal, but it does increase the say of the working stiff over the fat cats of the world. That is not communism. It’s a respect for people’s individual rights. Think about it. You don’t lose your human rights the moment you take a job. Why should the owners get free reign over their employees? Likewise, owners don’t lose all their power just because they need other human beings to make the goods and/or services they provide. Labor shouldn’t get to dictate everything either. It’s a give-and-take. When working well, it brings out the best in everyone. Let’s be clear. THIS is what critics are really railing against. They’d rather preserve the owner’s power. The idea that the elites have to listen at all to menial workers just rubs them the wrong way. They’d rather be the ones making all the decisions – just like Pol Pot, Mao Zedong or Kim Jong-il. Come to think of it, the non-union workplace is more like Stalingrad than the union one. Without unions, workers are at the mercy of their employers. Not exactly a red, white and blue proposition! How I wish this were true! It would be great if one political party stood up for the rights of the working man! Unfortunately neither donkey nor pachyderm is exactly itching for the job. Historically, the Democrats have done more to increase unions’ power than the Republicans. But that’s a pretty old and dusty history book you’re reading. In the past 40 years, both parties have gleefully striped away union protections and rights. The only difference is that some Democratic politicians concede the right of unions to actually exist. Many Republicans act as if they would abolish the institution at the first opportunity. Rank and file union members vote based on the platforms of the candidates involved. If there were a Republican candidate running on pro-union policies, union members would probably vote for him. That’s just called Democracy. If a party wants the union vote, just give workers a reason to vote for your candidates. In the short term, they do. But in the long run, unions may actually increase profits thereby paying for any increased initial investment. When your business has a labor union, you have to pay higher wages. You have to have more safety regulations so less people get hurt on the job. You pay more for healthcare and pension plans. You have to cover more paid leaves and vacation times. This is true. But it’s not a liability. It’s an advantage. When you treat workers well, the quality of their labor increases. It just makes sense. If people are happy at the job, they’re going to do it better than those who hate it. This increases the quality of your product and, thus, sales. So you may have to pay more money upfront, but it gets offset by profits. Does the increase justify the cost? That depends. Every business needs customers. Without money, consumers can’t buy the goods and/or services you provide. So when you pay a higher salary, you’re creating a potential market. Consider this. When workers have more money, that’s cash that goes right back into the economy. They have money to buy stuff, maybe even the stuff you’re selling. That’s why Henry Ford famously made sure to increase wages at his auto factories – so that his employees could afford to buy the very cars they were making! But what about non-union workers? Is it fair that union labor gets all this while everyone else is left wanting? If you’re jealous of the benefits of being in a union, join one. Don’t tear down someone else. Don’t be a resentful child popping another kid’s balloon because Mommy didn’t buy you one. Go get yours. Unionized labor will welcome you with open arms. Petulant envy is exactly the attitude the bosses want you to take. You can always tell a news source is bought-and-paid-for when you hear some talking head spouting such petty, childish nonsense. But leaving aside those who’d rather bring you down than boost themselves up, there’s an even more important reason to support unions. Membership actually benefits all – even non-unionized labor! It’s called the free market. When unions boost salary and fringe benefits at one business, others have to do the same to compete. If your business doesn’t pay the same high salaries, it will lose the best employees to businesses that do. That’s simple economics. None of this is seriously in contention. These are proven historical facts. Naysayers really just don’t want to pay a fair wage. They’d rather pay as little as possible and thus bring down salaries and benefits across the board. In fact, as unions have decreased, that’s exactly what’s happened! It’s a matter of point of view. Should we aim for a shared prosperity in this country or a limited one? Should we aspire to be a nation that’s best for all or only for some? I know my answer. What about the global marketplace? Don’t unions make it harder for the US to compete with foreign markets, especially those in the third world? Again, the answer is both yes and no. Sure, it costs more to treat labor as human beings than as indentured servants. When you pay a living wage, your costs will be more and your profits initially lower than a company that keeps its workers in dormitories and has suicide nets outside the windows. But do we really want to compete with that? Is that the kind of America you want to live in? Does your morality really allow you to make money off of the misery of your employees? Heck! Why pay workers at all? Slavery has a much better return on investment. The owners can keep people alive as cheaply as possible and then just work them to death. Profits would soar! Assuming, of course, there’s anyone left to buy! That’s a pretty big problem. Right now, the third world is only able to continue these practices because it has a willing market here in the US. Without us buying these cheap products, they wouldn’t have customers and, thus, couldn’t continue. Instead of slobbering all over ourselves in covetousness at their inhumane business practices, we should be putting political pressure on these third world companies to reform! We should boycott their products. The irony, of course, is that many of the most egregious crimes committed against third world peoples are perpetrated by US companies who’ve outsourced their labor. We are selling short our own workers by preferring brown and black people in foreign lands whom we can more easily exploit. If Americans had higher wages, they could more easily disengage from these abuses! If US consumers had higher salaries, they’d be more choosey about what they buy – they’d spend more freely on high quality goods – like the kind made by a unionized workforce. In short, we need to stop shaming hard-working people from using their collective power to improve their lives. There’s nothing wrong with demanding fair treatment. Human beings deserve to be treated humanely. And that’s exactly what unions are. Human beings. They are engineers, nurses, auto-workers, letter-carriers and food service employees. They are your teachers, police and fire fighters. They are fathers, mothers, sisters, brothers, sons and daughters. 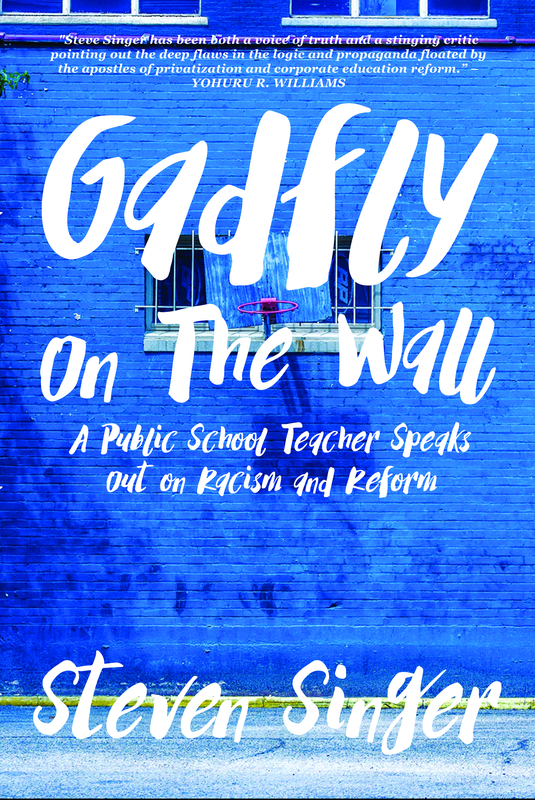 This article has also been published on the Badass Teachers Association blog. ← Check Your Wallet! You Too Can Be An Expert on Teacher Tenure! Thank you! Given todays corporate aggression against workers, this bears sharing as widely as possible. It’s true that union negotiations are not always pleasant, and like families, they have their foibles. But without them we are so much worse off. Without unions to force owners and workers to meet in the middle, there is no middle-class. Literally. Without the middle-class there is no one to buy middle-class goods. Without unions the wealthy wield all the power, not the people, and then democracy dies. Let’s not just pay, but participate in our unions as part of our role in a democracy.